Historical landmarks and other sights through Italy. 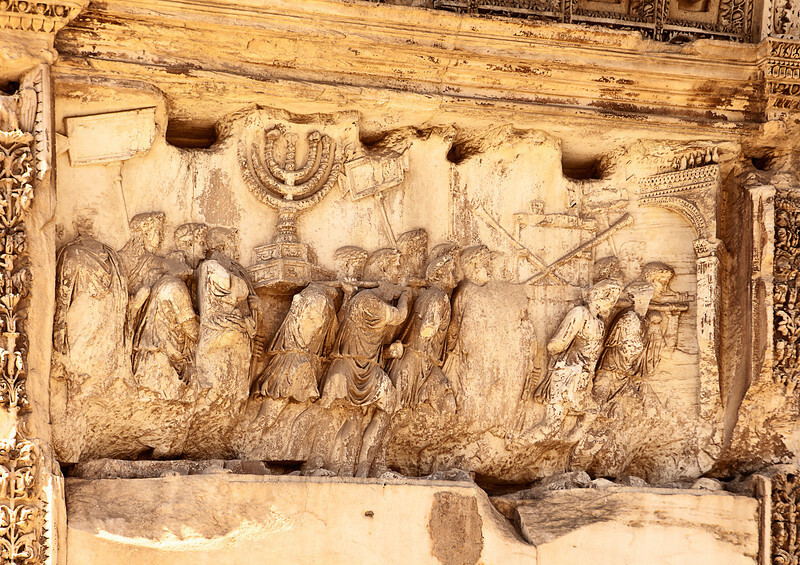 This wall relief on the Arch of Titus reveals Roman soldiers carrying spoils from the destruction of the Temple of Jerusalem in 70 A.D including the golden Temple Menorah, the Table of the Shewbread and the silver trumpets which called Jews to the festivals. The Romans are in triumphal procession wearing laurel crowns and the ones carrying the Menorah have pillows on their shoulders.